Here at truthtrain.com, we love Christmas time and everything that goes along with it. So when I got the opportunity to listen to Bob Dylan’s new Christmas album, I was excited. I’ll say it’s pretty terrible on the first and subsequent listens. I’m not really sure if he’s enjoying himself or he finds the whole idea ridiculous. Nothing about the album seems genuine. I like Dylan; A LOT, but I’m definitely sticking to my usual Christmas traditions with Burl Ives and Perry Como. This entry was posted in Entertainment and tagged Bob Dylan, Christmas. Bookmark the permalink. Tis’ the season to not listen to Bob Dylan. “Must be Santa” might be able to get on board, but nothing more. BUT! For pure comedic sake, it is worth the listen. 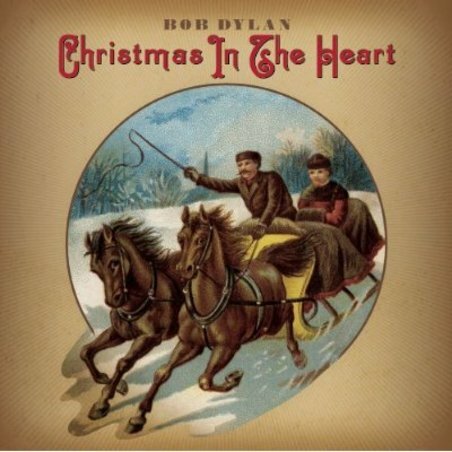 If you like Elmo and Patsy’s “Grandma Got Run Over By A Reindeer,” you may very well fall in love with Mr. Dylan’s slanted take on Christmas.